Finding the right monitor stand for your workstation significantly improves the quality of everything you do on your computer. Most default stands fall way off from an ergonomic standpoint and could cause back and neck problems in the long haul. You wouldn’t want that. What are some of the factors to consider when choosing a monitor stand? ● Flexibility- If I feel like moving right, left, or any direction, could it meet my demands without sacrificing comfort? ● Strength and Durability- Can it support bigger screen sizes if it has to? ● Design and Material- Even if it’s flexible and durable, no one wants to look at an ugly piece of hardware. The material should be the first rate for it directly contributes to the monitor stand’s sustainability. Best gaming monitors 2016 – list to find the right gaming monitor for you. Best gaming headset 2016 – we recommend you to read this guide if you are considering to buy a gaming headset. 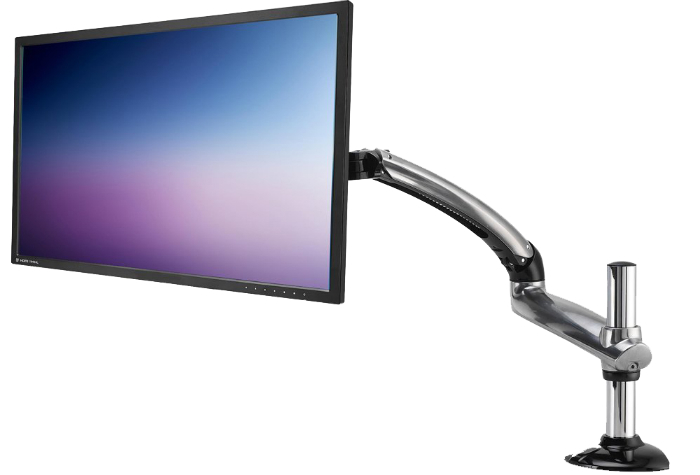 At its price, you cannot find a single monitor stand as flexible and as easy to use as the Ergotech Freedom Arm. It looks like it can last forever and comes with only two main pieces which make it a breeze to install. 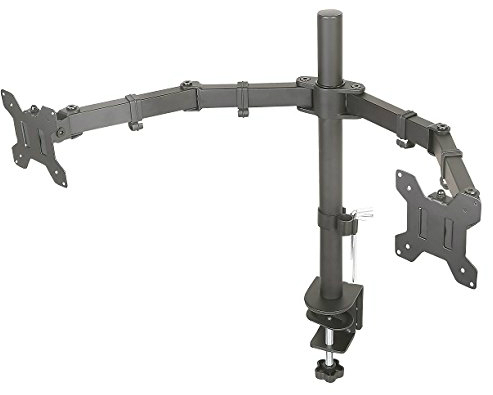 The Freedom Arm is a clamp type mount meaning you won’t need to pre-drill anything on your desk. Only tighten the clamp on your desk using the heavy duty knob that can be tightened to desks as thick as 55 mm or as thin as 5 mm. You don’t need to worry about the Freedom Arm leaving nasty marks on the desk as the rubber feet, and foam coating at the bottom of the handle won’t let it happen. The design has a minimalist appeal to it, and the metallic silver look blends well in any office ambiance. It is compatible with MAC and PC monitors and built-in VESA compatibility. The flexibility of the product is remarkable, tolerating complete 360-degree rotations and tilting up and down at 90 degrees and 45 degrees, respectively. 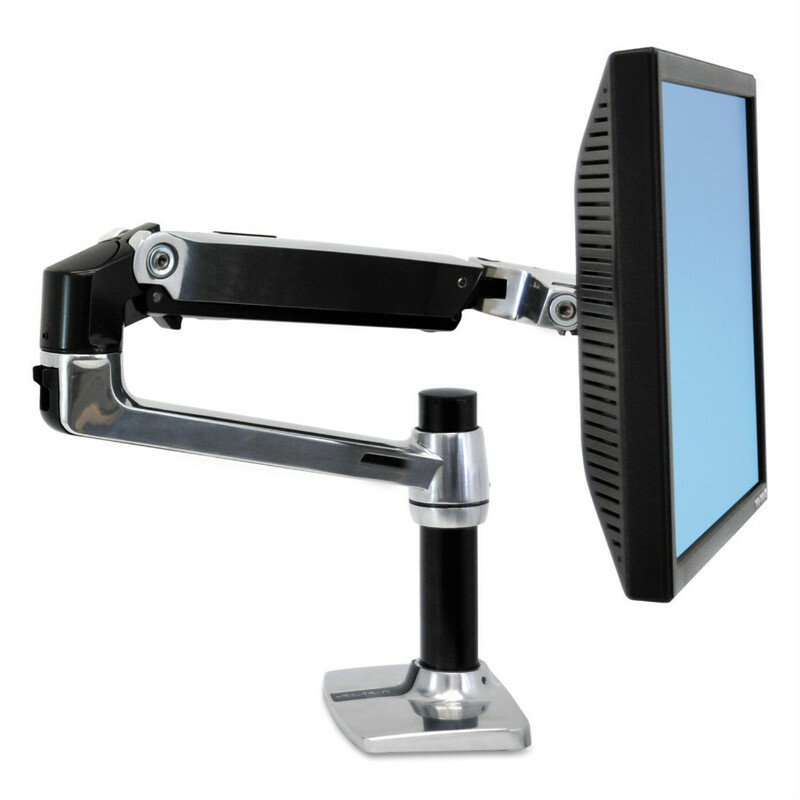 While the Ergotech Freedom Arm works well only with monitors 27 inches or less, the AmazonBasics Single Monitor Display Mounting Arm can handle the big boys at 32 inches and up to 25 pounds. The setup is essentially a cakewalk, and the adjustment is effortless. The price tag won’t hurt your pockets, either, and given its great performance and dependability, this mounting arm is quite a catch. The coolest thing about the AmazonBasics Single Monitor Display Mounting Arm is it allows you to position it lower than the mounting bracket. And the fact that you can raise the display of the desk gives you more real estate to work with. Pretty neat, right? Truly a great addition to any desk– wherever that desk may be– the Satechi F3 Monitor Stand wins with its minimalist but classy approach. You need not be a tech geek to get this thing up and running: Fit in the legs, plug the USB cord into the computer, and you’re all set! The two preset height raises your monitor so that you are looking at it on eye level, reducing eye and neck strain from looking down (even ever so slightly). Some extra features include headset/microphone ports at the front of the board and four USB ports. 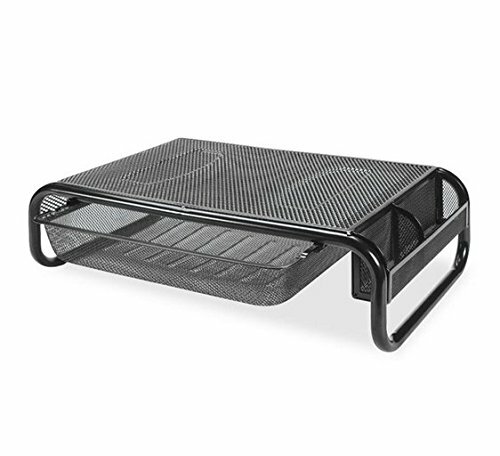 Please be advised that the stand isn’t as sturdy without its legs so make sure to use the aluminum legs, which allows the stand to carry as much as 22 pounds without a problem. With the way the stand is designed, you can put and store whatever things you want to it– notebooks, to-do-lists, nasty overlapping cords, and even your keyboard when not in use. The options we listed here like the Amazon Basics Display Mounting Arm are already sufficiently function and durable for most needs. But if you have a top of the line rig with a cutting-edge monitor, you might want to match it with an equally premium product which adds luxury to functionality. 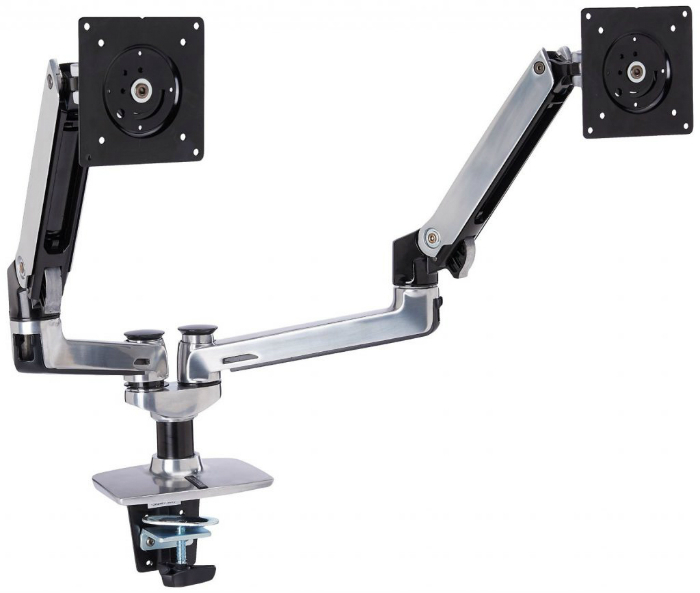 The Ergotron LX Single arm pretty much functions like the Amazon Basics option, with similar ranges of motion and adjustment, solid metal construction and build quality, but with added style. The arms have polished aluminum arms for a clean and snazzy look which also resists corrosion much better than metals. The smooth movements are certified to last longer than your system since it is backed by a 10,000 cycle motion test to ensure years of trouble-free use. This model costs a bit more than other options, but it’s guaranteed lifespan is matched with a 10-year warranty so you can use this for multiple system rebuilds for years to come. There are people who are comfortable using wide screens, and fortunately, there is one mount on the market that allows you to fasten 32-inch monitors with ease. One of them (and arguably the best) is the Loctek Adjustable Desk Mount (D7H). The key to installing the Loctek Adjustable Desk Mount is following the manual carefully. It is very durable, and the VESA mounts can take up a monitor weighing around 44 pounds and even up to 34 inches! However, only put a monitor OVER 19.8 pounds and 10 inches or if not, it will render the product basically useless regarding height adjustment and flexibility. After all, this is designed for widescreen monitor users. Two other amazing features for the product is the cable management system which practically renders the cables invisible right under your nose. And just as impressive is the fact that even if it can support 34-inch monitors, it doesn’t sacrifice anything regarding range of flexibility. Priced at $132.99, however, you will have to pay the price for your wide-screen preferences. The Lorell Monitor Stand is both an affordable and durable option for users who require additional height for the display and storage for tiny desk items like pens. This product has a mesh and aluminum tube construction ensuring that it will last longer than your computer components while looking neat and industrial. the 20-inch by 12-inch surface area will keep monitor with a centered stand steady, while the pull-out drawer can hold phones, notebooks, and pens while you work. There are also side compartments where you can stick some of the small items you need to keep handy while working or gaming. The Royal Craftwood Monitor Stand’s bamboo material and texture apply a natural and minimalist style to your desktop while being functional. This offering adds 3.5 inches of height to monitors of all sorts and sizes, but its special feature we love is the molded indentions on the surface. You can place cups, glasses, phones or anything you need to keep close by while you game or work. This option can hold up to a hundred pounds, plus if you desire, you can also use it as a stand for tablets. 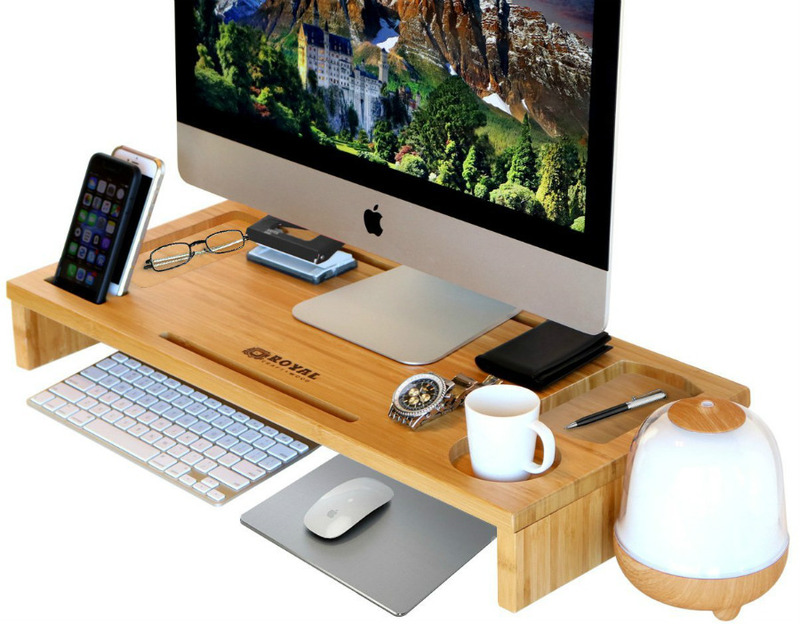 The Royal Craftwood Monitor stand is made of 100% Eco Friendly materials, so buying this product helps a noble cause. Before delving into the products, let’s answer one fundamental question first: Do you really need a dual monitor setup? If you still haven’t tried it, there’s no reason not to give it a shot. The potential for maximum efficiency and productivity seems too much to pass up. In fact, a study previously conducted at the University of Utah and NEC suggests a 10% increase in work rate and 20% fewer errors for people using multiple monitors. At first, working on dual monitor stands require a little adjustment, but over time, the convenience that comes along with it will be more noticeable. In many cases, people who have learned to work with dual monitors never go back to using one again. The Techorbits Dual Monitor Mount is one of the best kits we have personally handled in recent times. The mechanism creates a floating effect for up to two 30-inch monitors with ease while also providing excellent flexibility for your multi-display setup. It’s not the cheapest, but it’s reasonably priced, making it one of the top choices in the market today. 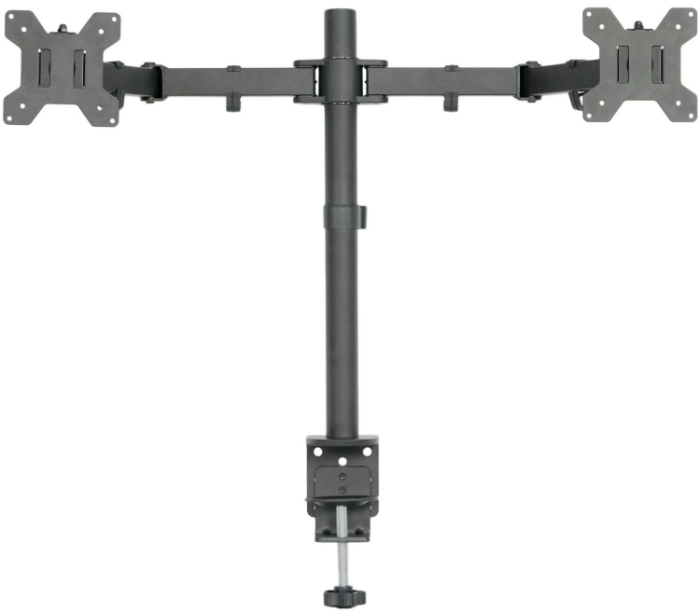 What makes the Techorbits Dual Monitor Mount special is its engineered gas spring arms which have excellent capacity and strength. Adjustment can be difficult if you want to change your display orientation, but what matters most is the locks hold set positions permanently. The QD removable VESA mounts are heaven-sent when trying to load large displays onto the extending arms. We love the quality the company has imbued into the Techorbits Dual Monitor Mount. The build quality it sports gives off a feeling of durability and reliability, making the purchase worth every penny. The material engineering for the armature which uses aluminum ensures that it will remain rust-free for lifetime usage. This is Ergotron’s best-selling dual arm so there must be something in it that justifies the purchases. Fortunately, you don’t have to look too far to know. It’s flexibility is superlative and the design which features both arms attached to different bases allow for maximum fluidity of motion. The main base feels sturdy and heavy, an assurance that it is strong enough to mount the heavier type of monitors without much problem. Another cool feature of the Ergotron LX Dual Side-By-Side Arm is its cable management system, a design that allows the arms and arm extensions to open for added cable storage. The days where you work with endless snakes of cable slithering around your desk (or on the floor) is now a thing of the past. The Ergotron LX Dual Side-By-Side Arm is a little on the expensive side (now at a shade below $260 in Amazon), but you still get the bang for your back in this situation. Whether you’re a gamer, a graphics artist, or anyone who needs a dual side-by-side arm, the Ergotron LX is easily one of the best available in the market. 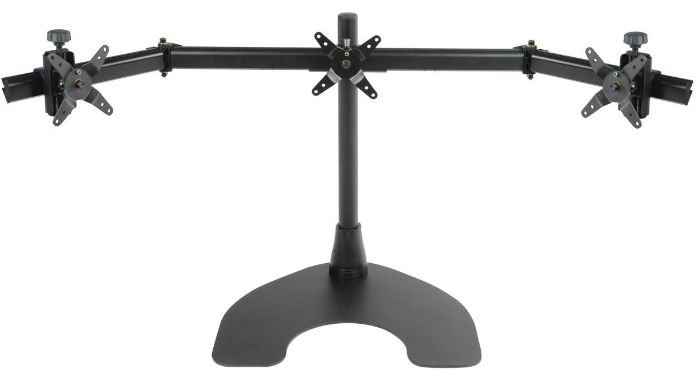 The general rule on purchasing is you always have to pay for quality; however, at $35.99, the VIVO Dual Monitor Desk Mount Stand-V002 is the exception. This gear is the ultimate proof that you don’t need to shed a couple of hundred dollars to get a high-quality dual monitor stand. You’d be pleasantly surprised. 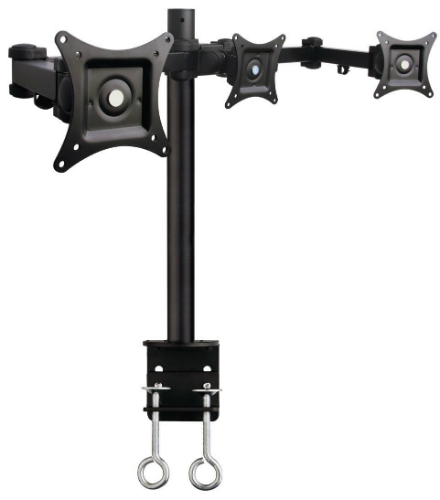 The VIVO Stand-V002 has heavy duty metal construction in both the arms and poles which ensures a sturdy and reliable mounting. The VESA type mounting brackets supports 100mm X 100mm and 75mm X 75mm connections, and each bracket can support a maximum of 22 pounds each. The flexibility of the arm allows for a variety of viewing positions. It is highly remarkable that a heavy duty mount stands like this presents only minor flaws. It usually happens when using heavier types of monitors as the bolts of the joints need more reconfigurations if you’re dealing with hefty monitors, probably at 25 inches and above. Other than that, the VIVO Dual Monitor Desk Mount Stand-V002 delivers on its promise and an outstanding value. At $224.99, the Silverstone Tek Duo Arm’s price is both its strength and weakness. EVERYTHING about the product screams QUALITY– from the organized packaging to the arm itself. The latter shows off an attractive shiny coating and a Silver Stone logo– a testament to the amount of expertise and knowledge put into the product. The installation is a breeze, and the arms can hold the weight of a heavy monitor as advertised. However, because of the price above, the Silverstone Tek Duo Arm will only be appreciated by those willing to pay extra for quality. Also, the maximum monitor screen size allowed for the product according to the descriptions is 24 inches, enough to discourage users who may prefer larger screen sizes. Even then, the Silverstone Tek Duo Arm is one of those top-caliber products that would exceed even a cynic’s expectations. Aside from the two minor weaknesses mentioned above, there aren’t much you can find in this outstanding product. For some people, it makes little sense to spend more on a monitor mount/stand than the monitor itself. It’s like wrapping a two-dollar sandwich on a 20-dollar piece of paper. With budget-conscious customers in mind, the EZM Dual Monitor Mount Stand provides outstanding value and quality at $35.95! The very sturdy stand will mount on a desk with a minimum of half an inch in thickness to about 6 inches. It also offers quite a lot of adjustment vertically and sidewise; the monitors can go up and down the entire length of the pole, and the attachment can be rotated just as easily around the pole. Given the price, it’s impressive to find an accessory like this that is as strong and as well constructed. Having two monitors at your disposal used to be a luxury but people who aim to be more productive or gamers who would stop at nothing to gain the upper hand on the competition swear by it. There is quite some really good triple monitor stands out there, but we’re giving you three that caught the eye of the buying public. Ergotech’s Triple Modular Monitor Stand is one of the best monitor stands in the market that offers its own plethora of strong points and drawbacks. Its construction is very sturdy, and the parts come with a nicely-machined finish. The design is basic with simple black VESA mounts for the monitors. Because the stand has two large “feet” as a base, it’s not necessary to drill holes on the desktop. Of course, the Ergotech Triple Modular Monitor Stand is not perfect by any means. By saying the product has a “large” base, we mean LARGE. It weighs 27 pounds, which is really heavy for a stand and may not be compatible if you have a smaller desk. The base’s “feet” could also leave an unsightly mark there so you may have to do something about it before the installation. Adjusting the monitors to just the right height and tilt may require another set of hands unless you want to perpetually remove and re-install monitors. While the Ergotech Triple Modular Monitor Stand beautifully supports screens of up to 24 inches, it is not recommended for bigger monitor screens of over 27 inches. However, Ergotech’s triple monitor stand comes with a model with telescopic wings (Ergotech Triple Stand Telescopic 100) that works nicely with the bigger screens. To conclude, the Ergotech Triple Modular Monitor stand may not be for everyone, but if we’re talking about value, flexibility, ease of installation, and price, it’s got to be up there as one of your top choices. 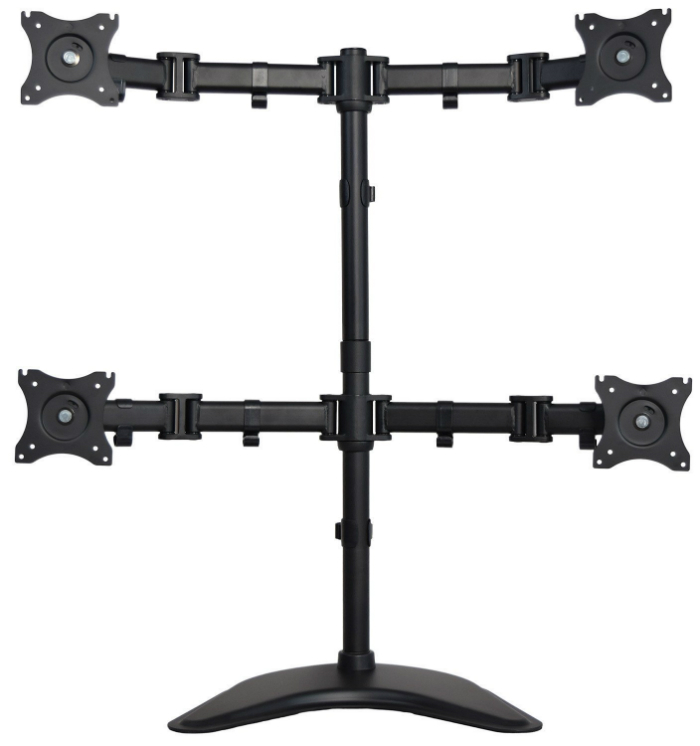 The Jestik Horizon Triple Monitor Mount is worth more than the other three triple monitor stands in this guide so it would only be natural to rave about its caliber. The material is top-notch as well as the quality as it is made of high-grade steel and aluminum. You won’t see any plastic parts in there except for the three high adjustment knobs (which is irrelevant anyway because it’s not a weight-bearing part). The arms can hold three monitors of up to 27 inches and 17.7 pounds each. At first glance, it may not be as sturdy as it claims to be (the space-saving design makes it smaller than most triple monitor stands/mounts) but it is just as strong as advertised. Jestik’s quick release feature makes sliding monitors in and out effortless without another round of dismantling and installing. The monitors are protected by an anti-theft kit, and the cable management system ensures a neat and organized workspace. The cons of the Jestik Horizon Triple Mount, however, is the base “feet” which leaves a footprint on the desktop. The size of the “feet” may also be an issue to those who have small to medium sized desks. Overall, the Jestik Horizon Triple Mount is still the choice of many in the market because of its quality. While people like their screens side-by-side, there are also some who need to have the third one on top. 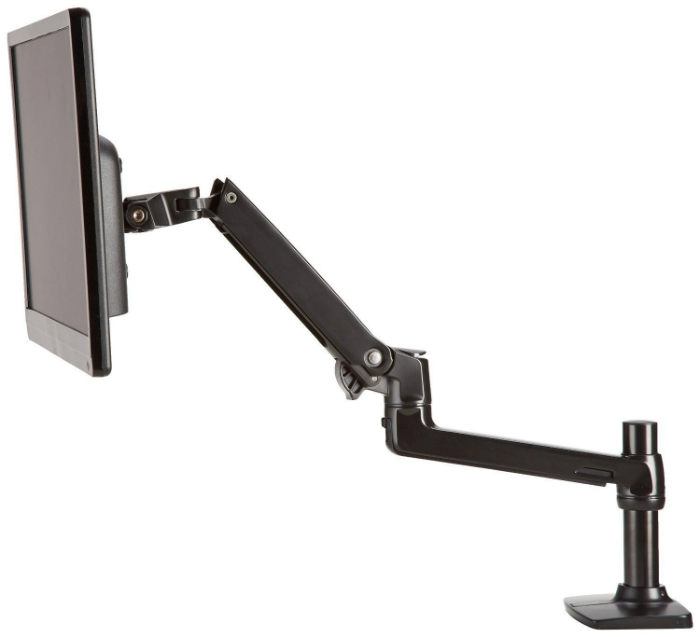 That is exactly why the VIVO Triple LCD Monitor Desk Mount is listed here. 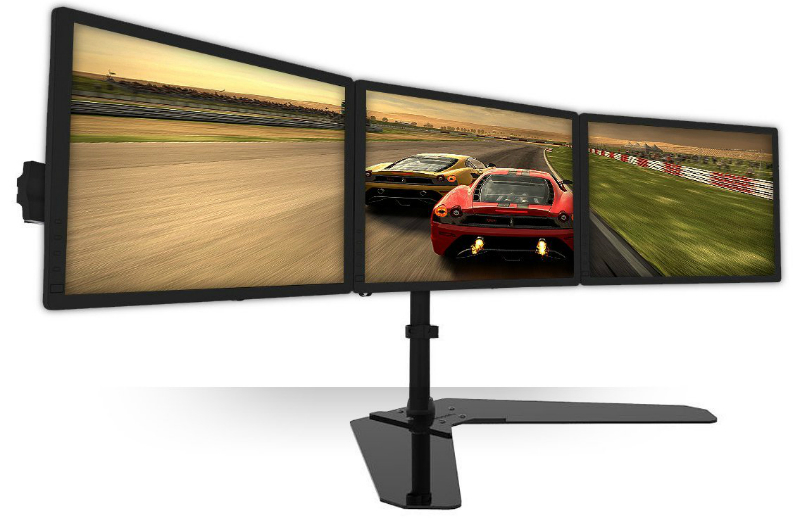 At $59.99, the VIVO triple LCD monitor mount will certainly exceed your expectations. The parts are thick and sturdy and not cheaply-made at all. Unlike the previous triple monitor stands mentioned, the Vivo is a clamp type, which means that while you need to drill holes, you’re not going to see ugly base footprints on the top of your desk anytime soon. This thing may not be the most elegant to look at, but it gets the job done in a surprisingly satisfactory way. 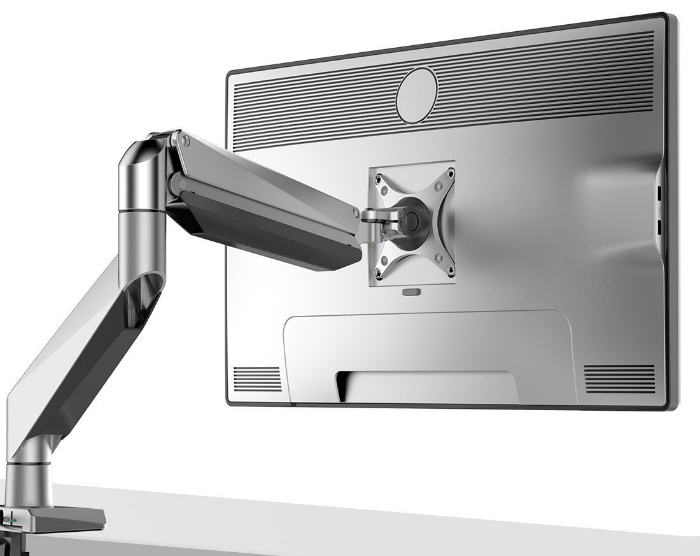 Each monitor arm can handle 22 pounds of weight each and can support 27-inch monitors. 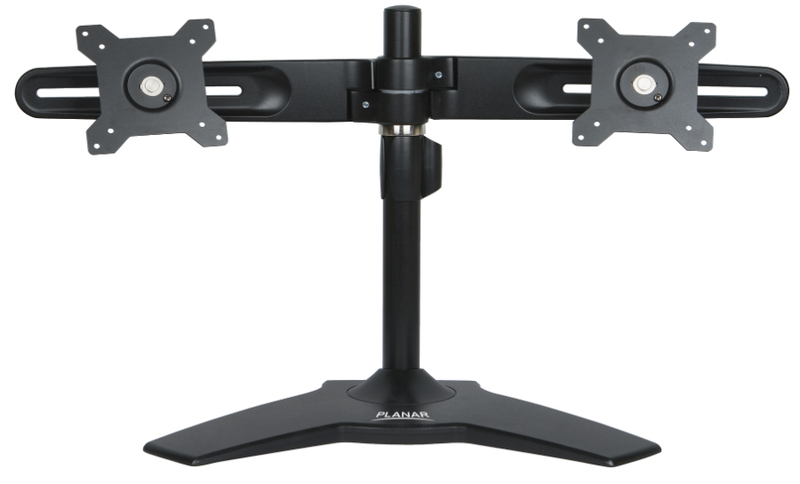 Having said that, the VIVO triple LCD monitor is highly flexible for a multi-monitor stand and can rotate and swivel all the way to 360 degrees.One blemish of this monitor stand is it needs further adjustments if you are very particular with alignment. When you have that covered, then you have one really serviceable desk mount that is more durable than what its price suggests. At $121.98, Elite has produced a high-quality triple monitor stand that has a lot of impressive features. The construction of the unit is remarkable, with well-made parts and a sturdy base. The base, in particular, is broader than most of its counterparts to ensure support and stability. Another thing is that the VESA plates are compatible with three sizes– at 50X50, 75X75, and 100X100. The rotation feature is also admirable, and the monitors can be tilted 30 degrees both up and down. However, the arms can only support a maximum of 13.2 lbs each, so it’s compatible only with monitor sizes 24 inches and below. In general, however, the construction of the stand and the apparent ease of use will still put the Elite Triple Monitor Stand on top of the options you have if you’re thinking of a triple-monitor setup. 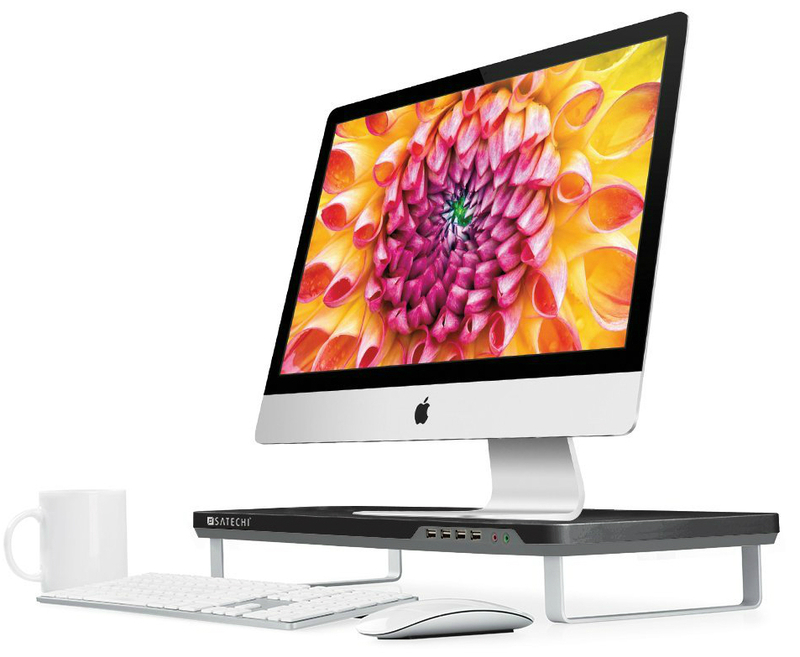 The Average Joe may not be needing two, let alone four, monitor stands so why the need? 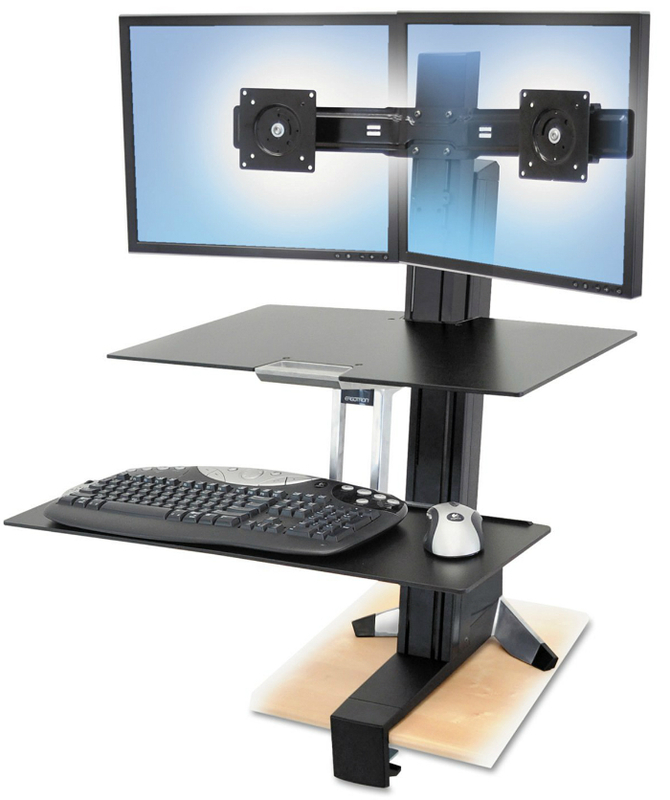 The quadruple monitor stand is very useful for the ultimate gamer (mostly the pyramid type) while programmers or hospitals may also find the need for putting up quadruple monitor stands as a necessity in extreme cases. VIVO products have made a constant appearance on this guide and rightfully so. The company makes it a point to manufacture lightweight but sturdy products, two of the characteristics many monitor stand consumers are looking. 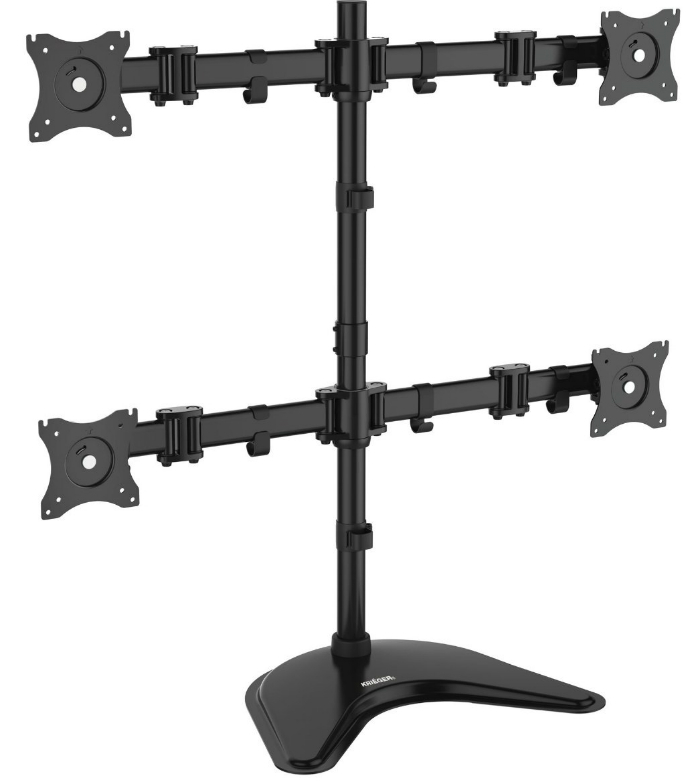 At a 22-pound capacity for EACH arm, this stand can hold up a total weight of 88 pounds! And at $89.99, the pyramid-type VIVO Quad LCD Monitor Stand allows you to save money without compromising strength. However, there are reports of pyramid setups sagging over time which is no good news at all. This is a major drawback of this setup although it can be minimized by using small to medium-sized screens. Maxing out screen sizes (24 inches) may cause flexibility issues, but if you’re already a triple-monitor user wanting to add another screen without making crucial changes to the setup, you will like what you will get from this stand. The KRIËGER KL4327 Quad Monitor Stand checks a lot of boxes from what we want out of a quad stand. It is built to last and can rotate, pivot, tilt, and swivel for superlative ergonomic viewing options. It also allows the monitors to be rotated up to 360 degrees for portrait or landscape mode; additionally, each arm is also capable of rotating 360, tolerating any subtle and unsubtle adjustments you may have in mind. The base is sturdy and strong and the no-scratch, no-slip bottom keeps your desktop safe from scratches and marks while also preventing accidents. At $64.97, there is not much to dislike what the KRIËGER KL4327 Quad Monitor Stand offers from a quality, safety, and ergonomic standpoint. 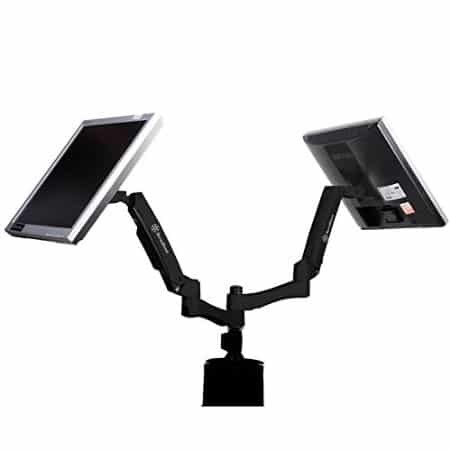 Work monitor stands, as its name suggests, are created for the work environment. These do not have the flexibility advantages that single, dual, or some triple monitor stands offer but work monitor stands are a great addition to any office setting. The Ergotron Workfit-S Dual is simple, very attractive, and user-friendly. The design is sleek and efficient while allowing the user to shift from sitting to standing whenever the need arises. Having said that, this work monitor stand is a must for individuals with back pain for this set-up will enable them to work for longer periods of time.One of the cons of the product, however, is the cheap-looking plastic keyboard tray that betrays the clean look of the product. Many users choose to completely ditch this feature and replace with another tray of their choice. The bundled monitor arm is a slight negative as well, as it appears too small for to support two 24-inch screens. Overall, the positive features of the Workfit-S trump the minor issues it may have. 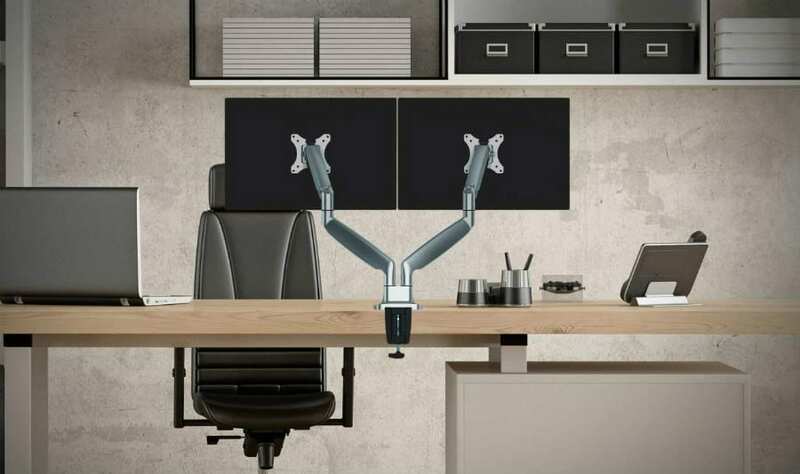 Its price compares favorably well against its counterparts while the ease of set-up, sturdiness, space-saving design, and ergonomic benefits makes it a necessity in work environments. The Varidesk Pro Plus 36 comes highly recommended and for good reasons. Anyone with hands can literally use it in minutes because all it takes is taking the product out of its box, place it on top of the desk and you’re good to go. The Varidesk is designed, so workers are never locked in one position, contributing to the conducive working environment. And at its fully extended height, people over six feet tall can use it just as well. The Varidesk Pro Plus is built very sturdily at 52.5 lbs and a capacity of around 34.8 pounds (15.8 kilograms). It provides ample space as a workstation and can be adjusted to fit into tight spaces. The design is elegant, with the keyboard positioned lower with the mouse deck, and the monitor in a higher position. 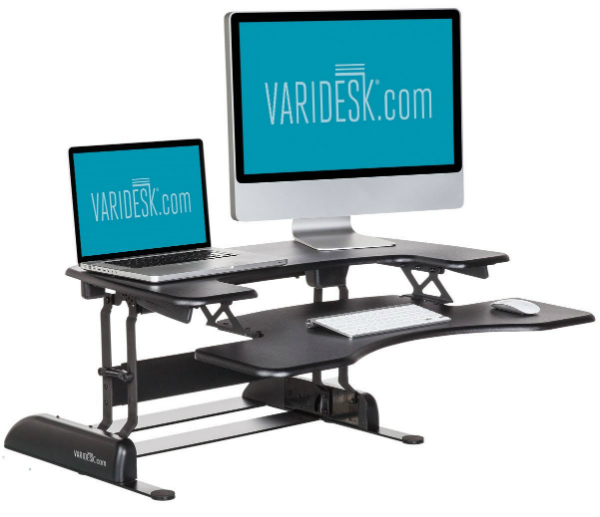 Back and neck pains are a thing of the past with the Varidesk Pro Plus. There are no specifics for monitor stands used by gamers; at the end of the day, it all boils down to preference and the kind of game being played and the level of which you are playing it. But while the monitor stand does not make you any better in the game, it would make the experience more excellent. Cooperative gameplay, for example, makes the need of another screen an easy choice as it eliminates the need to share a screen. The bottom line is if you’re planning to purchase a monitor stand for gaming on a single screen, go for a sturdy monitor stand and not just monitor arm. That’s a great deal! Ergotech mounts are beautifully designed and crafted, so shaving off a few bucks off their SRPs make them worth every penny! These are some great reviews guys! I used the Amazon Basic’s arm for a few years before upgrading to the ErgoMounts VisionPro 500. It’s a little more expensive but I’ve found it’s worth the extra cost. Hey, Jamie! Thank you for sharing your feedback! Excellent and professionally detailed review. I must appreciate it. Thank you for reading and appreciating our article Steven!